Beautiful organic unisex baby leggings featuring a repeat pattern of an owl perching in a tree at night time. 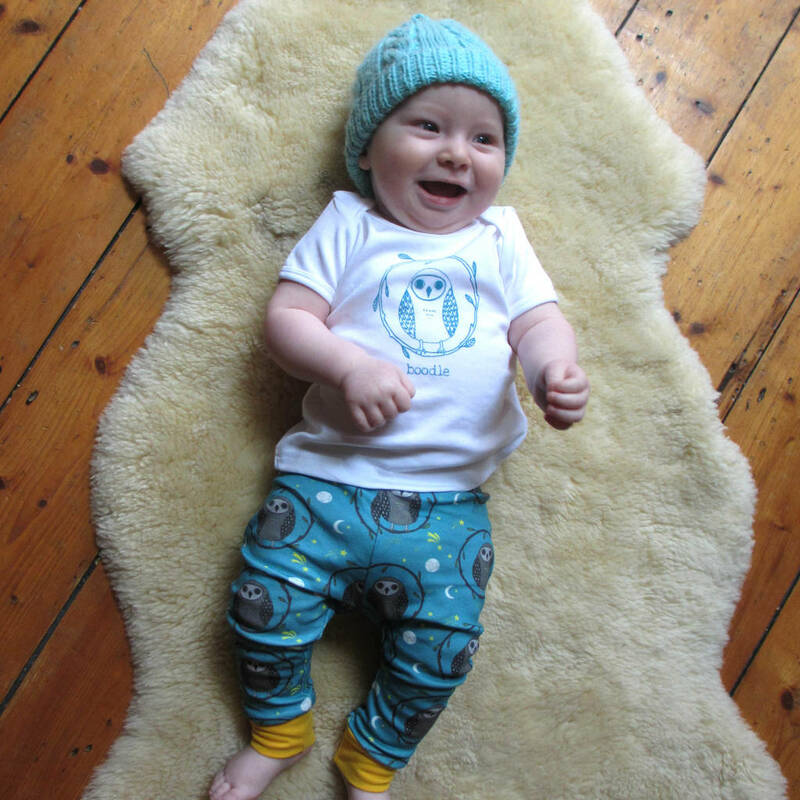 Organic owl baby leggings. 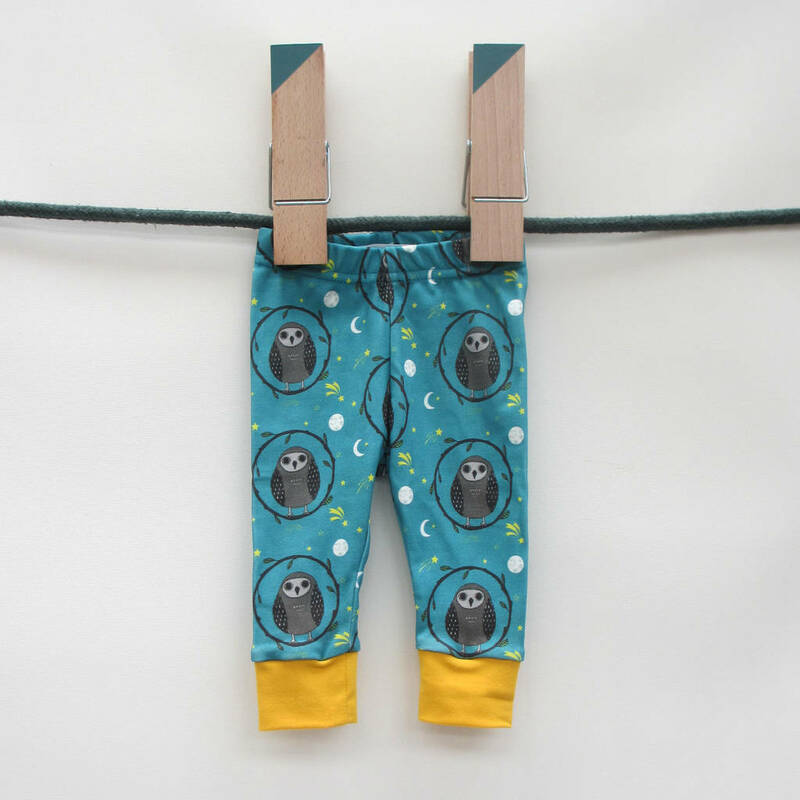 A repeat pattern of owls perching on a branch surrounded by the night sky, digitally printed onto organic cotton with yellow stretchy cuffs and an elasticated waist band. Hand made in Cornwall, UK. I design the material for these owl leggings, making them extra unique! The owl pattern is designed exclusively for these leggings. These are made by hand so pattern placement and stitch width/consistency may vary slightly due to the hand made nature of these designs. 100% Organic cotton with 100% stretchy cotton cuffs. Wash at 30 degrees for best results. Hand made in the UK. This product is dispatched to you by boodle.